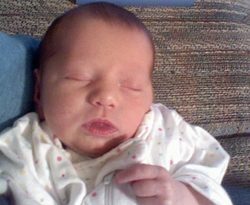 baby to the bathroom – and accidentally left the door open. or might not wear anything from the waist down. having to reach for the cleaning supplies. do when the need arises. is because they are concerned for the environment. parents. But doing that can use a lot of water and electricity. three children – all under age four. goes to the bathroom. She even uses cloth diapers. is not practical for her family. they do have time to pay close attention. 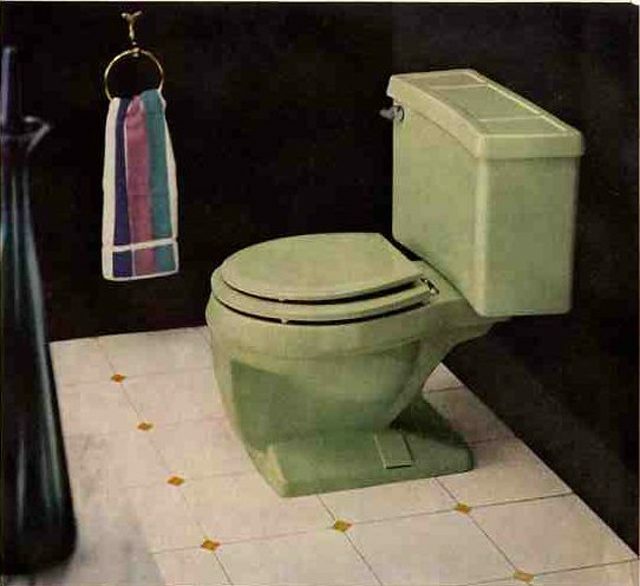 The problem with those old low-flow toilets is the companies didn’t really re-design them – they just made the tank smaller. Some of them just didn’t do the job. Hugh Maquire has one in his home. He’s had a bad experience with his. So, we asked Matt Grocoff with Greenovation TV to set up a demonstration for us. Behind the Bgreen Retail Store in Ann Arbor, Michigan three different models of these new Water Sense low flow toilets are set up on five-gallon buckets so we can see what gets flushed… and what comes out. These toilets all have dual flush capabilities. A full flush is 1.28 gallons. A half flush – just 0.8. To prove how well they work, he’s just using the point-eight gallon flush. Matt’s got tennis balls, potatoes, and little rubber duckies. And, again, that was the half-flush at 0.8 gallons, half of what the old low-flow standard was. Matt upped the ante. 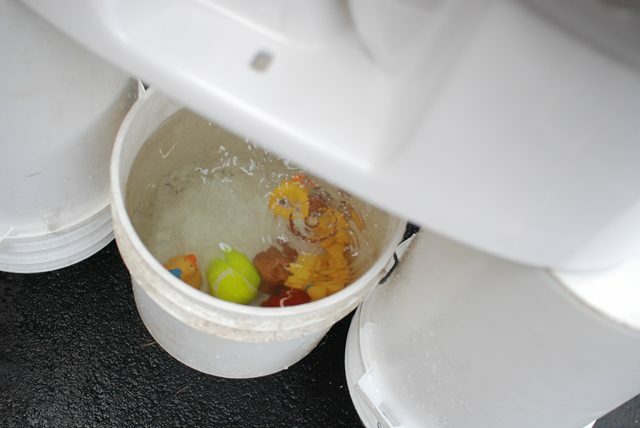 Now, Matt’s demonstration is hardly scientific, but of the three brands we tested – a Kohler, a Toto and a Coroma – it appeared to me the Coroma worked best, at flushing duckies and potatoes anyway. Rudy Wilfong is a dealer for Coroma. The toilet is made in Australia. He says Australia has had one-gallon-per-flush restrictions for 30 years, so they’ve designed them to work. And compared to the old low-flow toilets, you can expect to save about 1,000 gallons, per person, per year. They do cost more, but the pay back compared to a regular low-flow is about 2 to 2.5 years. 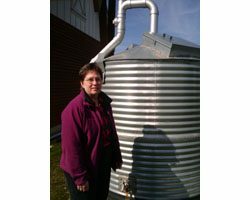 If you’ve got one of those three-gallon-per-flush models, or even an old 6 gallon model, your payback will be a lot faster. It was about making drinkable water from astronauts’ urine. NASA figures sending water into space wastes rocket fuel. Why pay good money, if you can just reuse water that comes out of astronauts’ bodies? Astronauts have recycled other fluid, but urine was kinda the final frontier. 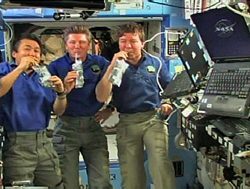 Three astronauts hold up their drink pouches. For all the jokes cracked in space, water’s a serious problem down here on Earth. Is anyone recycling urine like they are on the space station? Depends on how you cut it. NASA’s system is a closed loop: water out, urine in, water out. Similar technology’s used during some natural disasters, and the country of Singapore gets close. 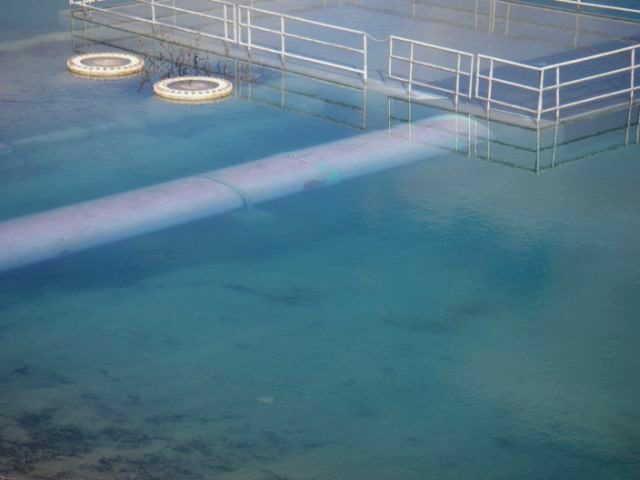 Singapore recycles sewage water but it’s sent to reservoirs where it’s diluted. but you’re not allowed to drink it. draws water out of that aquifer. So, it’s a kind of water recycling – more like Singapore’s diluted variety than NASA’s fully-closed loop. But, some water utility managers predict some city will. That’s Frank Jaeger. He runs the water system in Parker, a Denver suburb. 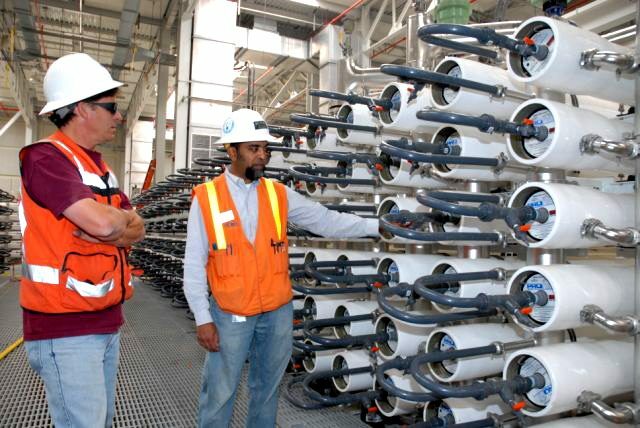 He says most water systems are more like Singapore’s and Orange County’s than you might think. Jaeger says, think of the advantages a full water recycling system would have. supply of water, since you can count on people bathing and flushing on a regular basis. 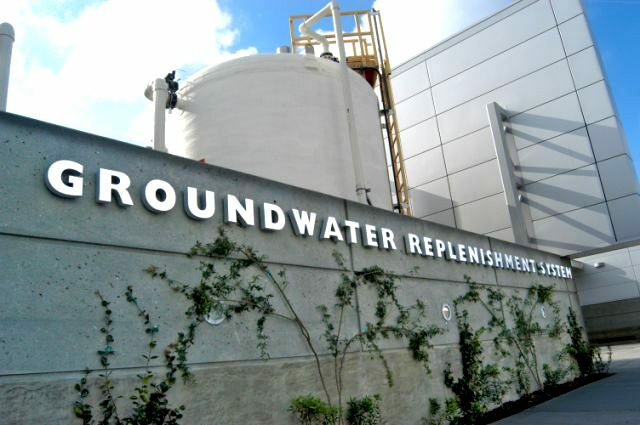 There’s no federal regulation that specifically prohibits full toilet-to-tap water recycling. So, Jaeger says, someday, some politically brave local government will move forward. In the U.S., there are about 12,000 brand name and generic drugs on the market. And who knows how many over the counter drugs. Scientists are finding many of these drugs in our water. Everything from caffeine, to allergy and anti-cancer drugs, to antidepressants. Now, they’re finding these drugs at very low levels. But they’re pretty much everywhere. An Associated Press investigation found trace amounts of pharmaceuticals in the drinking water of more than 40 million Americans. That’s Sahar Swidan. She’s a pharmacist. Right now, Swidan’s going through a five foot tall box of prescription drugs that people have brought to her store in Ann Arbor, Michigan. They might be expired, or just not needed anymore. A disposal company picks up the drugs about once a month and incinerates them. Swidan’s drug take-back program is pretty rare. Many pharmacies are not set up to collect unused drugs. One reason is, it takes a lot of work. Swidan has to sort through the drugs and make sure there aren’t any controlled substances – things like narcotics. 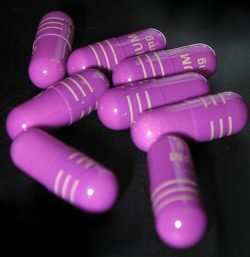 It’s illegal for pharmacies to take these back in most cases. The Drug Enforcement Agency is talking about revising their disposal rules for controlled substances. But for now you usually have to get rid of them yourself. So, how do you do that? You can dissolve pills or caplets in water, and mix in kitty litter or coffee grounds. That’s to make the stuff look gross and undesirable. Then dump it all into ziptop bags, wrap it up in duct tape, and throw it away. 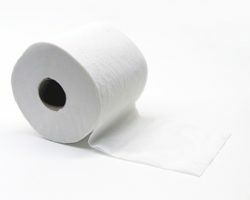 But to make things more complicated, there’s still a short list of drugs that you’re supposed to flush down the drain. The Food and Drug Administration says the drugs on this list are too dangerous to toss in the trash. Connie Jung is with the FDA’s pharmacy affairs department. She says the drug label will tell you if you’re supposed to flush them. Jung says the FDA is currently reviewing disposal methods for these kinds of drugs… because flushing them down the toilet is starting to raise some questions. An even bigger problem is that most of the drug residues getting into our water are coming from drugs we take and excrete. Bryan Brooks is a researcher at Baylor University. He recently found low levels of seven drugs in fish caught near wastewater treatment plants. He says these sewer plants just can’t filter out drugs. Right now Brooks is trying to sort out what effects drugs are having on fish. Hormones like estrogen appear to be feminizing male fish. Antidepressants might change how fish behave. 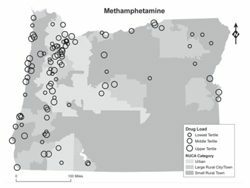 And no one’s sure how drugs might be affecting our drinking water. Brooks says one thing that can be done at the treatment plant is adding reverse osmosis filters. But they’re expensive. Brooks says there’s not much we can do about excreting drugs, but at the very least we shouldn’t be flushing drugs down the drain. It turns out that drip drip drip of a leaky faucet can really add up. 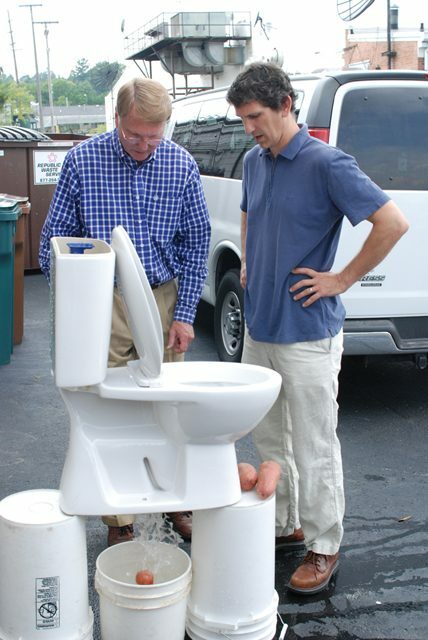 A running toilet can waste up to 200 gallons a day. Michael Shapiro heads the water division at the EPA. Most people can handle doing the repairs themselves. Jim Loviss is the plumbing manager at Strosneiders Hardware in Bethesda, Maryland. making changes like that to lighten their environmental impact. long showers and use a bunch of towels. It feels like vacation. But cutting back on the laundry load makes a lot of sense for a hotel. It saves energy, water and of course, money. conscious without doing anything that will inconvenience their guests. But some people say hotels can save a lot of money by trying. soaps and bottles of shampoo. well as the traditional toilets. are doing a lot aren’t talking about it on their own websites. But Solem says that’s at least a couple years off.